It isn’t too late to fertilize your trees and shrubs—water thoroughly after it is applied. Remove seed heads from Rhododendrons and Azaleas so the plants energy goes to foliage growth and next year’s flowers rather than seeds. Hydangeas: Work lime into the soil for pink flowers or Aluminum Sulphate for blue. Lilacs: Prune lightly after blooming, remove sucker growths and dead blooms. Feed with an all-purpose 10-10-10 fertilizer after blooming. Remove sucker growths from fruit trees as soon as they appear. Watch for fireblight on apples, pears and pyracantha; clip out effected foliage using pruners dipped in a 10:1 solution of water and bleach—sterilize pruners to avoid spreading the disease! Early flowering deciduous shrubs & vines such as Forsythias, Weigela, Spirea, and Wisteria should be pruned when blooms have faded. Cut back a third of the oldest canes to ground level, then cut back one third of the remaining branches by one third of their height. Plant cannas, caladiums, gladiolas and dahlias; these prefer soil temps around 65°F. If you plant gladiolas every two weeks through July, you’ll have wonderful cut flowers all summer! 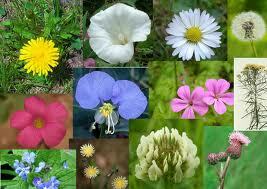 Pinch back the first flowers of your annuals to encourage more blooms later. Allow foliage of spring-flowering bulbs to die back naturally to store nutrients for the next growing season. Mulching with 3-5 inches of clean straw reduces weeds and retains moisture. Herbs are the exception since they prefer a drier soil so do not mulch or mulch lightly. Squash—soil temps can still be cool; for best germination results, pre-warm the soil with clear plastic. Broccoli, cauliflower, cabbage, brussels sprouts, kohlrabi and kale: make sure you are planting varieties that will mature quickly (to harvest mid/late summer) or slowly (for fall/winter crops). Beets, carrots, radishes, parsnips, root parsley and turnips – best results in loose soil; cover your carrot and parsnip seedlings with row cover to prevent the carrot root maggot from invading. Corn—plant about mid-month or pre-warm a bed to try for a slightly earlier sowing at the beginning of the month. Remember corn is wind pollinated, so for successful ears you need to sow it in blocks, not rows. Recommendation is a minimum 4 x 4 block (16 total corn plants) for reliable pollination. Lettuce, New Zealand spinach, mustards, arugula, Swiss Chard, etc. Potatoes—still fine to plant through May. Herbs: chives, parsley, mints, marjoram, oregano, dill, fennel, borage, cilantro, fennel, basil, etc. Set stakes next to your taller flowers early in the season to support the plants against wind. Get those cool weather weeds while they are little to possibly reduce next year’s weeding. 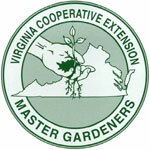 Turn over soil in vegetable beds and add organic matter.